i Finance Division’s O.M dated 31st May 2013 does not contain any effective date of implementation. From which date will it take effect? 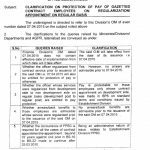 The said O.M will take effect from the date of its issue i.e 31-05-2013.
ii Whether the pay of employees working on daily wages, short term vacancies and on contract basis, regularized by the Cabinet Sub-Committee is protectable? The pay of only those contract employees (Non-Gazetted) whose appointments have been made on standard terms & conditions in BPS by the competent authority is protectable. iii Whether employees whose services were transferred from development to non-development side are entitled to pay protection? 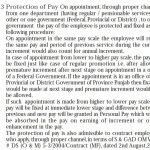 Pay is protectable of those employees only whose contract appointment in development side was made in BPS-01 to BPS-15 on standard terms & conditions. iv Whether the pay of contract employees on their regularization in lower grades is protectable or otherwise? Finance Division’s OM clearly states that in case of regular appointment in lower grade pay shall not be protected. viii Whether the pay of an employee working on contract basis in the provincial Govt who later on joins a regular post in Federal Govt is also protectable? Yes, subject to the conditions as stated against (ii) above. Dear madam in pay protection order the effect date is not mentioned .I have been regularized on 23 july 2015 in 17 grade.Am i illegble for pay protection.? some employees (Punjab Govt.) were regularizes on 14.09.2009. however, they were working in scale No. 2 prior to regularization and granted scale No. 1. Punjab Government decision was clear that they should have been regularized in their respective pay scale scale i.e BPS-02. Have you any latest notification / clarification about the matter. plz. provide the same / reply early. Dear Inam Ullah I have not updates in this regard. plz. inform updated position on the subject matter. Aslamo alikum.dear madam i am working in pakistan railway works devision.i am appointed after the death of my father during on job.railway appointed me as LDC for 2 years.when my 2 year period finished last 10th of May.this package called primnister package (BEWA KOTTA).Now they are not regulized me on my present job.they give me a terminater letter. Dear Aamir according to the policy this service is only for two years. It depends on Govt whether it regularize or not. Aslamo alikum.dear madam before the government regulized all employees.why should they doing like that.what was your openion about the court. Dear Aamir, mujhay confirm nahin hay. Taham aisay cases main kuch rakawatain aati rehti hain. Dear Shumaila, I was regularized in 2007 as federal government employee but my pay was not protected. Can I use this letter for my benefit now or it will take effect from 31-05-2-13? Dear Mirza, you can try with the help of this letter. 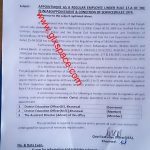 maine dobara jobs i tu PST k lye apply kia or case bhi chalta raha 2008 me IBA Sukkur ka test pass P.S.T oppoint kia gaya maine IBA sukkur ka test past kia or 3 year 7 months job ki jis par me permanent hoa or us k bad mene supreme court say case 2011 me win kia or mujhe 3 years ka contact mila jo is sal k end me khatam ho jai ga ab kia hoga ?? Dear Faisal Allah say dua karo. Allah aap kay haq main behtar karay ga. I think u didn't understand my Question I need an application specimen to initiate my case. I was working in an Autonomous body (Fed Govt) w.e.f 2007 to 2009 on contarct basis. Now im working in POF Wah on regular basis. I am eligible to get benefit from this notification. Required is that i need an application specimen/ format to initiate my case. Could you please help me in this matter and forward some specimen on a/m e-mail ID? i shall ever grateful to you. Dear Abdul Ghafoor, if ur previous service and pay is protected then u can get the benefit. 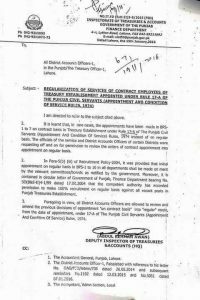 I Was appointed in 2006 on contract basis in BPS-16 as Assistant Accounts Officer but after regularization of my contract services I have still not get benefits of civil servants of Government of Pakistan why? neither my pay is protected by the department nor I have given upgradation kindly give me response in such situation. Thanks dear i ll clear all this on the post that u ll soon see at the website. I will wait, pls give me update about it. Asslam-o- Allekum Hamri serves ko 15 Monthe ho gya hain as daily wages kia hum bhi regular hon gay pleas informe me. Dear Khurram this notification is for the pay protection of those employees who have already been regularized. what do you mean by pay protection? Dear Abdul Salam pay protection means counting of previous pay too. Pls tell me, If any information about Daily Wages Employees of Sindh Govt. and other Autonomous Body under the C.M Sindh. Dear Khan I have not the copy of the same Notifcation. Kya koi khabar hai aap ko baji?. suna hai koi bill pass kara ha snd govt naie? Dear Khan I ll soon publish the copy of the bill passed by Sindh Assembly. This is valid only for Regularization/Appointment on and after 31th may, 2013? Or it is also valid for Regularization/Appointment of 2012? Will let me know what is status of Govt. 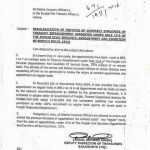 of Punjab, Has any notification uptill now has been issued to benefit the contract employees of Govt. of Punjab. on and after 31th may, 2013? aoa mai matric board karachi sindh govt mai daily wages per hn 3 years se son cota mai aya tha kya mai ye letter k zerye regular hosakta hn?? Dear Adil yeh letter for Federal Govt employees hay. dear sister sindh govt ne last friday ko sindh assembly mai adhoc aur aarzi employee ko regular kernay ka bill passed kerwaya hai. kya us k through mai hosakta hn??? Dear Adil bill ki copy saamnay aye gi to pata chalay ga. Sister copy kisi through copy dekhle aap aur pls mujhe batai mai kaafi paarishan hn. yaha siasi bhartia hoti hain magar son cota ka aaini haq nahi milta. am i right? kya contract employee is ltr k roshni main apni contract ki cut ki hoi increment bahal krwa sakty hain. main fed. govt main clerk hon. Dear Imran surely they can get the benefits of increments as mentioned in this Notification. 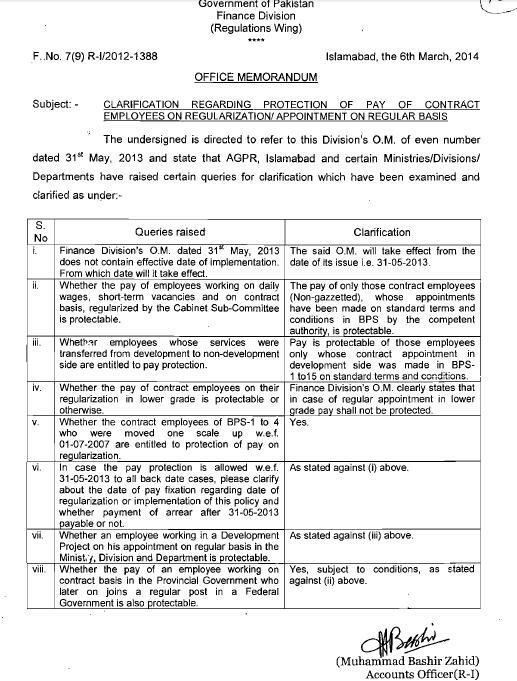 meri job Jan 2012 main permanent hoi thi tab CMA waloun nay meri contract wali increment cut kr di thi. kya main wo incremnet hasil kr sakta hon ya nahi. 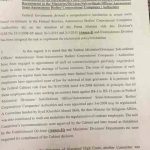 Dear Emran aap related documents ki copy lay ker CMA say contact karain. what is pay protection? for example if an employee served as contract employee from 2000 to 2013 in bps 15, after regularisation will he revert to initial of basic pay or all the previously earned increment added to basic pay ? Dear Muhammad Aquib his/her pay will not be fixed at initial and all the increments h gained will be the part of his/her basic pay. what about officers in bps 17 and above about pay protection? 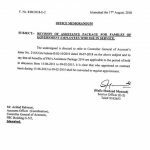 Dear Aquib it is still for the BPS-01 to BPS-15. 1.What is his status regarding to govt. rules. 2.Will he be regularize or not in future? 3.Will he get any benefit in response to clarification pay protection of contract employees on regularization notification by finance division. Dear Muhammad Shakil, honorary and contract jobs are totally different. This Notification is not applicable to the honorary staff. UDC etc kay letter still kisi ko bhi jaari nahin huay.